As refrigerators heating elements suppliers, Chhaperia celebrates its 24th year of successful journey. However, the refrigerators defrost automatically as soon as the ice grows thick. So, for defrost, an heating element is deployed so that it melts the ice right away. Chhaperia began to operate at iconic levels by producing quality-rich products to various industries. Defrost Heater: The coil cooling within the freezer builds up the frost. 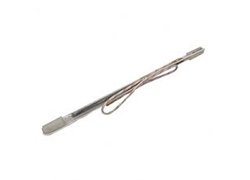 A defrost heater melts the frost by passing heat through evaporator coils. The tube inside gets heated through electricity thus eliminating the frost. Defrost timer: The built-in component defrost timer, controls the heater. The heater is switched on after the refrigerator is operated for a specific number of hours. Adaptive timers run depending on the usage of the refrigerator. The elevation of Chhaperia was possible because of consistent efforts by focusing on what’s important. Each industry needs vary, so we produce as per the requirement. Chhaperia has become one of the top refrigerators heating elements suppliers with its flawless execution.